ZANESVILLE, Ohio- Some say you must know where you came from to understand where you are going, and one website is working with Muskingum County to make that information easier to access. FamilySearch.org, a nonprofit genealogy organization, is working with the Muskingum County Probate Court to digitize records from 1804 to 1930. Volunteers take the files, some of which haven’t been opened for over 200 years, and use a rubbing alcohol solution to soften the creases and iron them so they can be photographed for digitization. 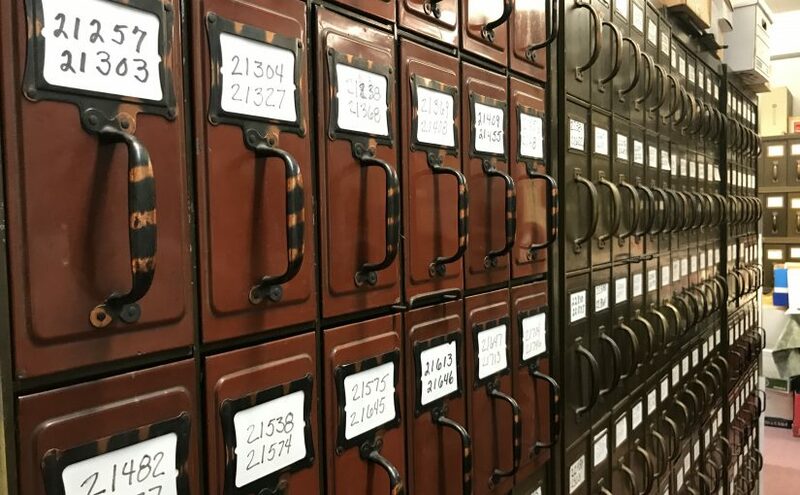 Once the records are digitized, they will then be available online for anyone who wants to dig deeper into their ancestral history. “There’s, I think, an inherent and internal interest in families. You hear stories all the time of those who have been adopted, what did they do they get old enough and they want to find their biological parents and you see these stories happening all the time and I don’t see any let up in that, I see it getting greater,” said David Shipley, camera operator. Muskingum County Probate Judge, Eric Martin, granted permission for the organization to conduct the program. FamilySearch.org is based out of Utah and is operated by the Church of Jesus Christ of Latter-day Saints. They are the largest genealogy organization in the world.